The main reason for this new addition of subscribers was a surge in the demand of mobile internet and data among users throughout the country. ISLAMABAD: The subscriber base of cellular mobile operators has recorded a reasonable growth by attracting around 1.5 million new customers to their networks in the first quarter of the current fiscal year (2018-19). 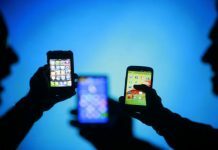 The indicators issued by the Pakistan Telecommunication Authority (PTA) about the total mobile phone subscribers have showed that till June 2018, the number of total subscribers was 150.2 million and it reached around 151.7 million till September 2018. The growth of cellular phone users availing mobile internet services was witnessed due to the migration of customers from using voice and tax services to data services. New users, who mostly belong to a younger age group and live in urban areas, are increasingly making use of mobile internet for social media and video-broadcasting sites. 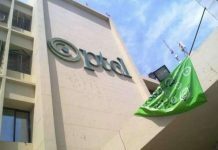 PTA’s data revealed that Ufone’s total subscribers have reached 20.9 million till September 2018 from 20.3 million in June 2018. Ufone has added 0.6 million subscribers during the quarter. Ufone is the only operator in Pakistan having a 3G-only network throughout the country compared with the other three operators operating 3G and 4G services simultaneously. Jazz’s total subscribers have reached 56.09 million till September 2018 from 55.4 million in June 2018. Jazz added 0.525 million new users during the period. Zong’s total subscribers have reached 31.48 million till September 2018 from 30.89 million in June 2018. Zong added 0.59 million million new users during the period. Telenor’s total subscribers have reached 43.23 million till September 2018 from 43.56 million in June 2018. Telenor lost 0.33 million users during the period. It is observed that competition between the cellular phone companies are on the rise with each passing month, however, the quality of service matters a lot for operators to add new customers besides retaining existing users in the future.